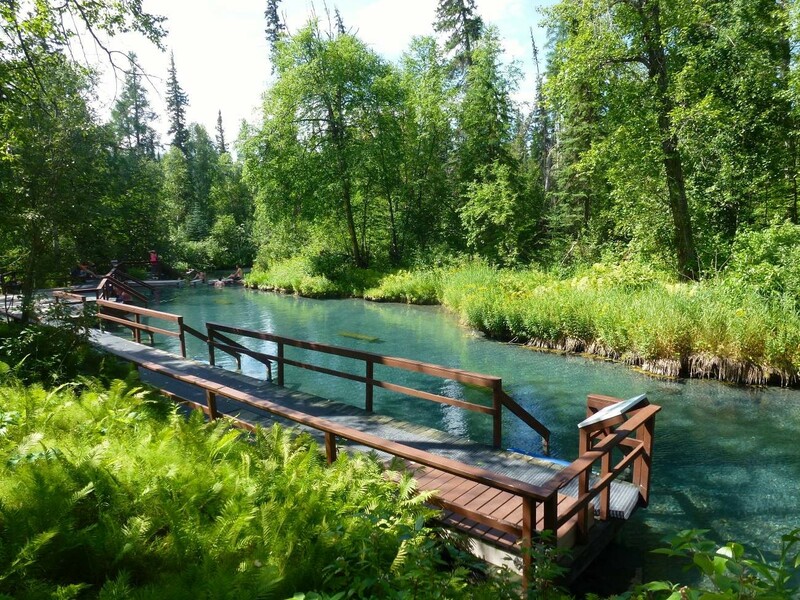 The Liard River Hot Springs are located within Liard River Hot Springs Provincial Park, approximately 317 km northwest of Fort Nelson at kilometre 765 of the Alaska Highway. Within the park, there is a boardwalk trail that leads to the hot springs. Change houses and toilets are located at the pool. Visitors will also find a 53-site campground as well as various interpretation panels nearby. The Liard River Hot Springs – originally known as “Tropical Valley” – were used by Athapaskan and Kaska peoples as a traditional cleansing spot. The first written record of the hot springs was made by Robert Campbell in 1835, while exploring the area for the Hudson’s Bay Company. Between the late 1830s and 1870, the Liard River was used as a trading route to the Yukon. The first scientific exploration of the area was undertaken in 1887 by R. C. McConnell for the Geological Survey of Canada. In 1888 and 1889, William Ogilvie further explored the area and his party camped at the hot springs during both expeditions. In 1931, the hot springs were visited by botanists who made a film about the site with the assistance of the McDonald family (Kaska). During the Second World War, and the construction of the Alaska Highway, the hot springs were developed for public use by American soldiers and known as the “Theresa Hot Springs”. After the end of the war, however, the facilities quickly fell into disrepair. In the 1950s, local residents (particularly those at Muncho Lake and Coal River), highway workers, and Canadian National Telecommunications’ employees organized a work-bee to repair the facilities at the hot springs. They rebuilt the boardwalks, cleaned up the campsite, and generally improved the facilities. In April 1957, the Liard River Hot Springs Provincial Park was established to preserve and protect the area’s geological features and biological diversity. Over 250 species of boreal forest plants, including 14 thermally influenced species, 104 bird species, and 28 different mammals visit, live or are found in the area. Today, Liard River Hot Springs is the second largest hot spring in Canada, and is ranked among the top five hot springs in the country. The campground is regularly used by travellers, and the hot springs are still known as a gathering place for travellers to exchange stories. 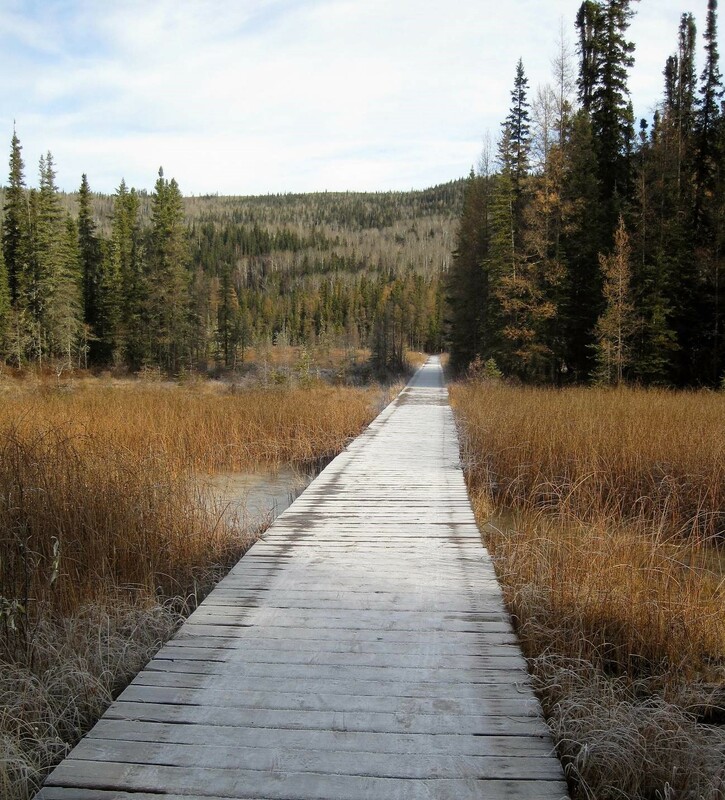 The Liard River Hot Springs Provincial Park is of national ecological significance.